DEKTON employs exclusive Sinterized Particle Technology, a high tech process which represents an accelerated version of the metamorphic change that natural stone undergoes when subjected to high temperatures and pressure over thousands of years. Dekton has partnered with Gridworx to provide the engineered backing system that meets today's ENERGY CODE challenges. THis system allows for removal and replacment of a damaged panel in the middle of a wall without disrupting adjacent panels. 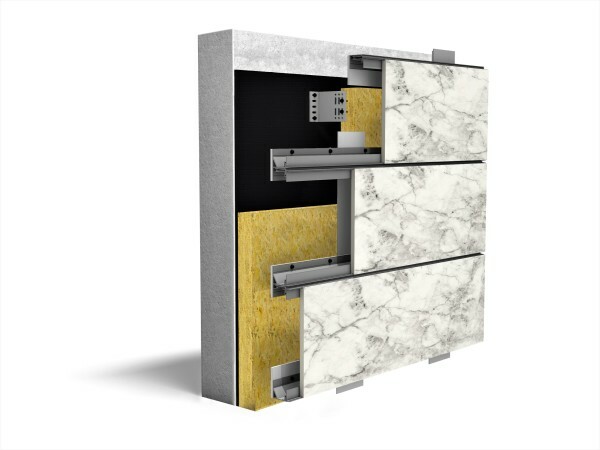 Ventilated façade system with stone or "stone look" DEKTON panels. See standard colors here . Customized textures and colors available.